Working alone is not in itself against the law, and it will often be safe to do so, however, the law requires employers and others to think about and deal with any health and safety risks and or hazards of the work before people should be allowed to work alone. 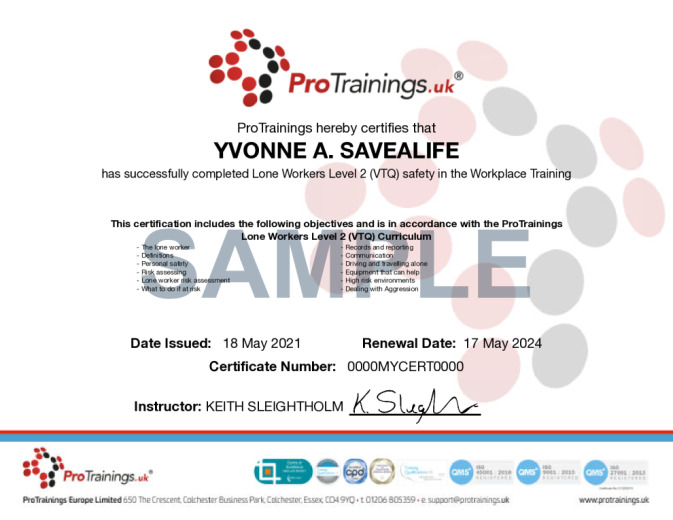 Employers have responsibility for the health, safety and welfare at work of all of their employees. They are also responsible for the health and safety of those affected by work activities, for example, any self-employed people they engage and visitors such as contractors. 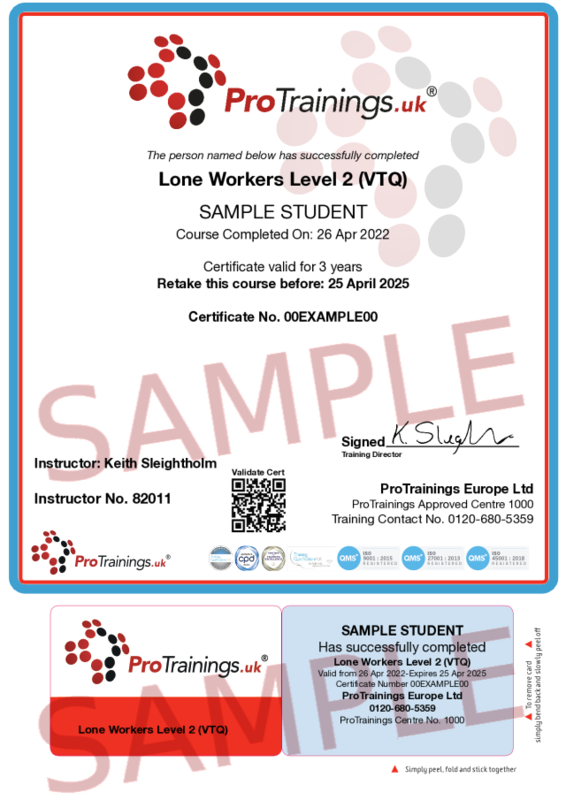 Lone worker training ensures that lone workers have the knowledge to keep safe at work and employers understand their responsibilities.